Being charged with a crime is a scary thing. The one thing I’ve noticed about my clients is nothing scares them more than the unknown. In order to quell some of those fears, I’ve written this article about how a case proceeds through court. I know that this will not relieve you of all the fear you will feel. However, I hope by giving you a guide, it will empower you to make the best decisions for your case. The first step in the criminal justice system is the initial investigation. Any number of agencies can conduct an investigation. The Ada County Sheriff’s Office, or Boise City Police Department, or Idaho State Police Department, or any other state or local law enforcement agency, could conduct it. Many defendants (or at this stage “suspects”) choose to handle their case on their own during the investigation. They mistakenly believe that if they tell the police their side of the story, that they will let them go. Often the police will entice the defendant to speak with them by promising things will be easier if you are cooperative. Do not try to “handle the situation”. Attempting to handle criminal accusations on your own at this point is a serious mistake. In every case I have had where my client hires me after the investigation, my client realizes that they made a mistake by trying to “handle the situation”. Do NOT make that mistake yourself. If police are accusing you of a crime and you are still in the investigatory stage call an attorney immediately. I know you are probably thinking, well you are a lawyer, of course, you are going to say that. I cannot stress to you enough the importance of getting an attorney at this stage of the proceedings. An attorney can make the difference between prison and a dismissal. Do not attempt to “handle the situation” on your own. As intelligent as you may be, this is not your playing field. You do not know the rules. You do not know the state’s tricks and pitfalls. Hire someone who does to help you through this. After the investigation, Law enforcement is going to have to decide whether to send the case to the prosecutor. Their only concern is whether there is “probable cause” that you committed a crime. A witness who says you committed a crime is usually enough to warrant turning the charges over to the prosecutor. The prosecutor will then take the case and review it. They will review the police officer’s probable cause affidavit, and their review will rarely go further than that. The prosecutor then files a complaint, along with the probable cause affidavit, with the court. He swears to the contents of the complaint, and the judge makes a probable cause finding. 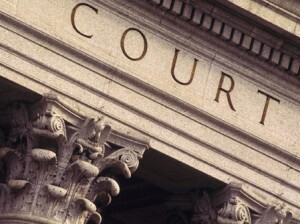 Often the judge will then issue a warrant for the defendant’s arrest. Sometimes they will issue a summons (an order allowing you to freely appear in court). However, with a felony charge, it is almost always a warrant for arrest. The police execute the warrant by arresting you and booking you into the Ada County Jail. If the defendant learns of the warrant before the police arrest him, he can go and turn himself in. Doing this will be to your advantage if the court has not set a bond. You can use that fact to persuade the judge you are not a flight risk. This may help you get a lower bond. Sometimes the judge will set a bond with the warrant. If the defendant can afford to bond out he will post the bond and leave immediately. Sometimes the judge will not set a bond. In that event, the defendant will have to stay the night in the jail. The court will set bond the next day at the arraignment. Keep in mind, if you check into jail on a Friday afternoon, you will be sitting in the jail until Monday. So if you are turning yourself in on a warrant, make sure you turn yourself in Sunday-Thursday. The court will next set the case for an arraignment. The defendant has a right to an arraignment within 24 hours of the police arresting him. However, the court excludes, Saturdays, Sundays, and Holidays. To Know the Charges Against Him. To Communicate with His Lawyer and Immediate Family. The issue of bond is the most pressing concern at the initial appearance. Many defendants are still in custody and wish to get out. The judge has two major concerns when setting bail. First, the probability that the defendant will make his future court appearances. And second, the risk the defendant poses to the community. The court has other concerns, but most of them relate to these two concerns. A good attorney will attempt to provide satisfactory evidence, facts, and argument to the judge to convince the judge that the defendant will be at his court hearings and that he does not pose a significant risk to the community. One thing to keep in mind (and this is the most maddening aspect of these hearings), everything is free-game during a bond hearing, all your past record (even juvenile record), other allegations against you, your personal life, etc. Often the prosecutors will make mistakes in presenting your record to the court. However, at this stage, there is little your attorney can do to correct those mistakes. At this time in the proceedings, the defendant’s case is still in magistrate court, and a magistrate judge still presides over the case. He has the responsibility of sending the case to district court. Before the court can do that, it must find substantial evidence that the defendant committed a crime. In some cases, it will be a grand jury that makes those findings. A grand jury is a group of jurors that hear cases presented by the State. They must make the same findings that the magistrate must make. The prosecuting attorney is the one who decides whether to convene a grand jury or to take the case to a preliminary hearing. These hearings are not a trial. Some defendants look at these hearings as mini-trials, but they are quite different from a trial. The standard of proof is much lower, the prosecutor will not need to prove their case ‘beyond a reasonable doubt’ like they would for a jury trial. The judge will not weigh the evidence as much as he will look to see whether the evidence that the State presents satisfies the elements of the charge. A grand jury proceeding does not even have a defendant or his attorney present for the proceedings (these are what in call “ex parte” hearings). Consequently, you will not have an opportunity to cross-examine the witnesses that testify before the Grand Jury, nor will you have an opportunity to call your own witnesses. On the other hand, at a preliminary hearing, you will have the opportunity to cross-examine the witnesses, and to call your own witnesses. If a grand jury or a judge determines that there is substantial evidence to move forward, then the case will “bound over” to the district court. On the other hand, at a preliminary hearing, you will have the opportunity to cross-examine the witnesses, and to call your own witnesses. If a grand jury or a judge determines that there is substantial evidence to move forward, then the case will “bound over” to the district court. A preliminary hearing is not always necessary. The court doesn’t require a hearing to send the case to district court. If the defendant waives the hearing, the case can go to the district court without a hearing. Often the prosecutor will attempt a resolution of the case at the preliminary hearing stage. If the Defendant wants to take advantage of the offer, then the court will require the defendant to “waive” the preliminary hearing. What this means is the Defendant agrees that he wants to take advantage of the State’s offer, and is willing to relieve them of their duty to present their evidence to the magistrate judge. Sometimes it is a good idea to waive your preliminary hearing, and sometimes it is not. This will be a strategic decision. Sometimes it is a good idea to get the witnesses statement on the record. Other times it is not. Sometimes there is nothing to lose, sometimes there is everything to lose. Whether to have a preliminary hearing will be a decision that you will have to make with the advice of your attorney. After the magistrate sends the case to district court, the court will set the matter for an arraignment. The court will assign a district judge and he (or she) will typically be the judge for the remaining proceedings. At this hearing, the judge will present the defendant with an “information.” An information is similar to a complaint, only that an ‘information’ is what they call the charging document in district court. Again the defendant will have his rights read to him, and advised of the possible consequences of pleading guilty to the charge. The defendant will have an opportunity to enter his plea. He will have three options, plead guilty, plead not guilty, or ask for a continuance. It is very common at this stage for your attorney to request a set over to attempt to resolve the case with the state. Even if the defendant already received an offer in magistrate court, his lawyer can continue to negotiate with the prosecutor in district court to get a better deal. If the defendant pleads guilty, then the court will set the case for sentencing. If he pleads not guilty, then the court will set the case for a pretrial conference and a jury trial. Finally, if he asks for a continuance, then the court will set the case over for an entry of plea. Step 6: Time between the Entry of Plea, and the Pretrial Conference. If the Defendant pleads not guilty, then the time between the not guilty plea and pretrial conference is extremely important. This is the time in which a complete disclosure of the evidence the state has in its possession needs to be completed. The Defendant (and his counsel) should be doing a thorough investigation themselves. A thorough analysis of the discovery needs to be done early on so that any motions that have deadlines attached to them can be made before the deadline. Hearings to orally argue the motions need to be set. By the time of the pretrial conference, the defendant and his attorney need to have a good idea what the theory of the case is, the pretrial motions that need to be argued, or set for a hearing for the attorneys to argue later. The pretrial conference is the hearing the judge sets so that he can determine whether the parties are ready to go to trial. At this hearing, he will check to make sure that the attorneys have complied with all of the Court’s pretrial orders. If he set a discovery deadline, he will check to make sure that disclosures have been timely, and whether there are any outstanding issues regarding discovery. Sometimes the prosecutor and defense attorney resolve the case at this point. At the trial, the defendant is allowed to subpoena his or her own witnesses. The defendant is allowed to cross-examine the state’s witnesses. In some cases, he will be allowed to call his or her own expert witnesses to the trial, to testify as to some issue the jury may not be able to otherwise understand without the assistance of the expert. Additionally, he will be allowed to enter any evidence, physical or otherwise, that may have a bearing on his innocence. During a trial, the attorneys must follow the rules of evidence. There are rules promulgated by the Idaho Supreme Court that designate what evidence will or will not allow at trial. To put it crudely, what this means for the defendant is, keeping as much of the state’s evidence out of the trial, and getting as much of the defense evidence in. A trial can take two forms, either a jury trial or a bench trial. The only difference between a jury trial, and a bench trial, is that in a bench trial, the judge is the finder of fact. Every defendant has a right to a jury trial, but if the defendant so chooses, he can waive the jury trial and have the judge decide the case. A jury trial is a trial where twelve people are chosen, through a process known as “voir dire” or “jury selection”, to sit as “fact-finders” on the case. The attorneys present the facts to the twelve “fact-finders” and they determine which facts they believe are true and whether those facts fulfill all the elements of the crime that the State charged the defendant with. Ultimately the court will ask the jury to determine whether the defendant is guilty or not guilty. Either determination will need to be a unanimous decision. If the jury is unable to come to a unanimous decision, then the jury is a “hung jury” and the judge declares a mistrial. The state is then free to retry the case if they so choose. If the defendant pleads guilty to a felony charge, or if he is found guilty of a felony by a trier-of-fact, then a judge will order a “pre-sentence investigation” (PSI). The primary reason why a judge orders a PSI is because he wants to know whether the defendant is a viable candidate for community supervision. Many facts, both good and bad, are collected during the investigation that assists the judge in sentencing the convicted defendant. After a defendant has pleaded guilty to the charge rather than gone to a trial, the judge knows little about what the defendant did, or who the defendant is. The PSI helps inform the judge as to all types of mitigating and aggravating factors to take into consideration when sentencing the defendant. The investigator, of course, works for probation and parole, and suffice it to say they are a tad biased in the way they do these investigations, so it is important that you seek your attorney’s guidance in submitting to the PSI examination. Sentencing is the final stage of the court proceedings. All felonies have a ‘maximum punishment’. The court cannot sentence you to more than the maximum penalty. Some felonies have a ‘mandatory minimum’ sentence. The court cannot sentence you to a sentence less than the mandatory minimum. In state court in Idaho, the judge is given great latitude in fashioning a sentence for a defendant. If there is a mandatory minimum, the judge can sentence anywhere from the minimum to the maximum penalty. The judge considers mitigating and aggravating factors in the case. For example, if this is the offender’s first conviction, the judge may be inclined to stay on the lighter side of sentencing, considering all other factors of course. There are several factors that a judge will consider when sentencing. How much involvement this particular defendant had in the crime. Whether the defendant was under any type of duress or unusual stress. If the victim was in fact hurt and how badly. Has the defendant accepted personal responsibility for his or her actions? Whether the defendant has demonstrated remorse and regrets his or her actions, etc. Is the defendant is susceptible to rehabilitation? Does the defendant pose a risk to society? The general deterrence the sentence will have on society’s future conduct. The specific deterrence the sentence will have on the defendant’s future conduct. Possible penalties for felony charges can be prison sentences, monetary fines, treatment programs, community supervision, restitution to the victim, etc. For some felonies, if the defendant has a clean record, the judge will entertain the possibility of a withheld judgment. A withheld judgment means that the judge does not enter a judgment of conviction. He withholds his judgment while the defendant is on probation. If the defendant is successful while on probation, then after the period of probation is over, the defendant may petition the judge to dismiss the case. The judge will then dismiss the case if he finds the defendant to have completed a successful probation. However, if the defendant screws up on probation, the judge can enter judgment on the conviction, and sentence the defendant anywhere up to the maximum possible penalty. Previous Post: « Can I be arrested for a DUI after taking prescription medications? Thanks for this information about the felony criminal case. Felonies are the most serious crimes. It’s punishable by death or a life sentence. Other countries don’t apply death as punishment or sentence.